In the last month, I have received two very threatening calls on my cell phone from a person purporting to represent the Social Security Agency. The caller threatens me with criminal prosecution if I do not hang up and call another number. Admittedly, I did not not call the number because I do not want to engage with fraudsters. Even before these calls, SSA had sent out an alert about fraudulent calls. In the last few months, there have been many reported spoofed calls from people claiming to be Social Security Administration (SSA) employees. In these calls, the number on your caller ID may show up as the actual Social Security toll-free number, 1-800-772-1213. The scammers on the phone are not actually calling from the SSA, but are spoofing the number to try to make the call look real. However, there are some warning signs that can alert you to a spoofed call. The SSA will never offer to increase your benefits in exchange for information. The SSA will also never threaten to cut off your benefits if you do not give them the information they are asking for. If a call sounds suspicious, you should hang up on the call immediately. You should also report the call by calling 1-800-269-0271 or by clicking here. If you are in doubt whether a call is actually from the SSA, hang up and call the SSA directly at 1-800-772-1213. 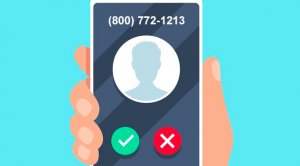 By calling this number, you are guaranteed of reaching an actual SSA employee — or if you are put on hold for 45 minutes then you know you have reached the Social Security Administration! If you have any questions about filing a Social Security disability claim, contact this law firm. Tagged: "scams" and "spoofed calls"